Description: Expressway Inn is a business categorized under hotel & motel management, which is part of the larger category hotels & motels. 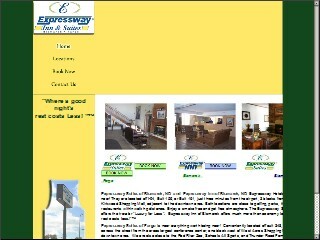 Expressway Inn is located at the address 1340 21st Ave S in Fargo, North Dakota 58103-5237. The President is Larry Isaak who can be contacted at (701)235-3141. Location & access map for "Expressway Inn"